Principal Cast : Patrick Wilson, Rose Byrne, Ty Simpkin, Barbara Hershey, Lin Shaye, Leigh Whannell, Angus Sampson, Andrew Astor, Joseph Bishara. Synopsis: When their son falls into a coma, and mysterious occurrences begin to occur around their new home, a family must face the awful fact that they are haunted by spirits intent on doing them harm. What we think : Stylish, ambitious scare-flick has an awesome first half, before descending into a mish-mash of half-baked iconography and sound-and-fury nonsense. Insidious sets up its premise so well, it’s almost impossible to see the mid-way U-turn the film coming until it’s far too late. The cast do a decent job of keeping this film within the bounds of credibility (at least in the first half), and director James Wan once more delivers a shock-jump fright-fest that’ll have you twitching, twinging and twanging all the way to the doona for safety. Worth a look for fright fans. Why is it that all houses in scary movies have creaking wooden floorboards, door hinges that need oiling, and exceptionally loud ticking clocks? Can somebody explain it to me? Can’t people oil their doors? Can’t they fix that staircase that sounds like it’s riddled with termites and may collapse at any moment? Or at least turn on the lights – which reminds me, I must dash to the store to get some brighter globes….. Insidious is both a terrific film and a complete let-down. Similarly to Robert Rodriguez’s eventual vampiric epic, From Dusk ‘Til Dawn, Insidious swivels sharply in its plot about half way through and becomes a totally different kind of film; a film devoid of all the genuine scares and style that made the first half so terrifyingly effective. Directed by James Wan, who gave us the original Saw, Insidious is a genuinely creepy, scary concept film that only half delivers what it promises. I did enjoy it, but I also found myself wishing it had ended better. And that’s where my frustration lies. The trouble with a film like this is that to give much away, especially specific plot points on which the entire film hinges, isn’t the way we do things around here at fernbyfilms.com, so I’m afraid you’re going to have to deal with a relatively spoiler free critique of this film henceforth. Josh (Patrick Wilson) and Renai Lambert (Rose Byrne), together with their three children Dalton (Ty Simpkin), Foster (Andrew Astor) and a baby, have moved into a house to start a new phase of their lives. As they begin to unpack and settle in, strange events begin to occur – lights flicker off, the security alarm goes off for no reason, and Renai starts seeing figures lurking about the house. Oh, and hearing creepy voices on the baby monitor. Things come to a head when Dalton falls into a comatose state, and refuses to wake, even though doctors cannot find anything medically wrong with him. As the family comes to the realization that they are being haunted, they move house once more, only to find that the ghostly spirits seem to have followed them, and have become more intrusive. While Josh is skeptical, Renai allows his mother (Barbara Hershey)to contact a medium (Lin Shaye) to discover the cause of their haunting: the appearance of a ghastly figure with a devil-red face (Joseph Bishara) indicates a far more malevolent and insidious evil at work. I’m warning you, I have a phone and I’m not afraid to use it! Even if the sequels were generally steaming piles of crap, the original Saw was a decent enough debut effort from Aussie James Wan, and as I watched that effort I knew this kid had a long and interesting future ahead of him. Wan has left the blood-soaked gore and horror of Saw behind here, with a more PG13-styled scare flick that relies on creeping you out with noises and things jumping out from the shadows. 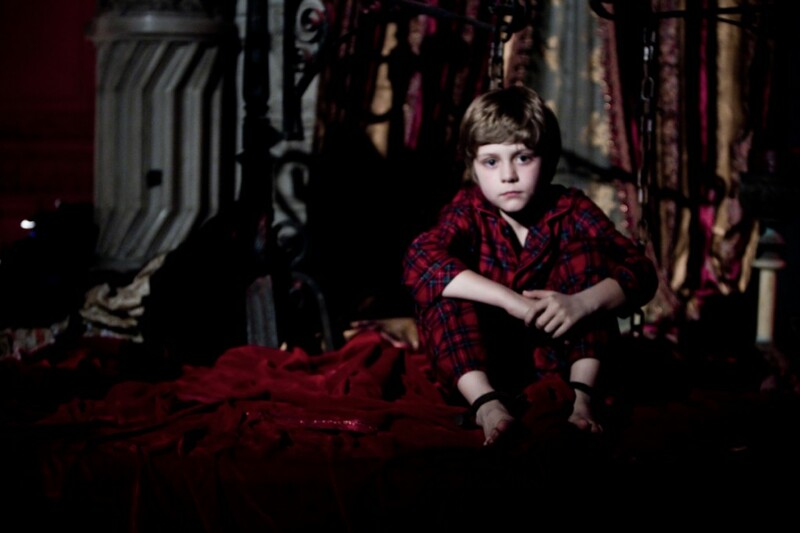 Insidious is, however, a film of two distinct halves. The first half is a more straightforward scare-mystery combo, with the haunting coming to life and the main characters trying to understand what’s going on. The second half begins with the arrival of Elise, the medium, as played by Lin Shaye. Once she arrives, the film does a complete 180 into weirdsville (relatively speaking) and, if I’m to be honest, degenerates into the kind of film you’d see as a warning against epilepsy. Once Elise arrives, she sets about explaining everything we’ve just spent enjoying for the mystery it provides, and once things are explained, the mystery and scares seem to dissipate into yet another array of generic jump-cuts and image-based non sequitors. Wan, with co-scripter Lee Whannell (who also pulls acting duty as one of Elise’s aides), is no stranger to the jump in the dark film-making style, but what he has in spades with his visual style, he lacks in the ability to coherently mystify the audience even when he’s trying to make things clearer. The thing about a good scary film is, that no matter how much the audience understands or doesn’t, the film still needs to operate within the parameters you set up at the start – and Insidious goes so far off the rails in its second half it’s both annoying and frustrating to watch. Mommy? I didn’t wet the bed. I did number 2’s instead…. Where the film falls over a little is in the focus of just who we’re following as a character. Josh spends the majority of the first half of the film wandering around like a lost extra on the set, while Rose Byrne’s Renai takes the large share of the scare-duties. 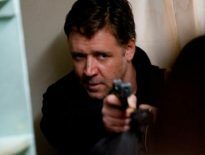 Then, when she’s about to fall apart at the seams, Josh steps up and becomes the central figure in this film, almost as if Whannell had run out of motivation for Renai to do anything other than crumple into a heap and cry. It’s a bipolar film, in this sense, in that we’re rooting for Renai to take charge and sort stuff out, but she just… doesn’t. An excellent subtext to the opening half hour, of a few small fractures in Josh and Renai’s relationship, is brushed aside once the bumps in the night kick in. Renai’s supposed to be some sort of composer, or song writer, and yet this cool character trait is left aside as soon as the ghoulies and ghosts arrive. Here’s a tip to budding screenwriters – if you’re going to set up a character with a particular trait or affectation, such as being musical or something, at least have that pay off somewhere in the movie. Don’t just introduce it and then leave it aside when the special effects are due. It’s the little things like this, most of which all seemed to stem from that second-half shift, that annoyed me as I watched it. The cast do a solid job delivering their characters onto the screen, all up. Patrick Wilson is suitably disbelieving when his wife tells him there’s ghosts about. I wasn’t convinced his reversal of belief was utterly genuine, I have to admit, and Wan pushes him through this change of thinking way to quickly for my liking, but once he’s on board with Elise’s theories, he’s solid. 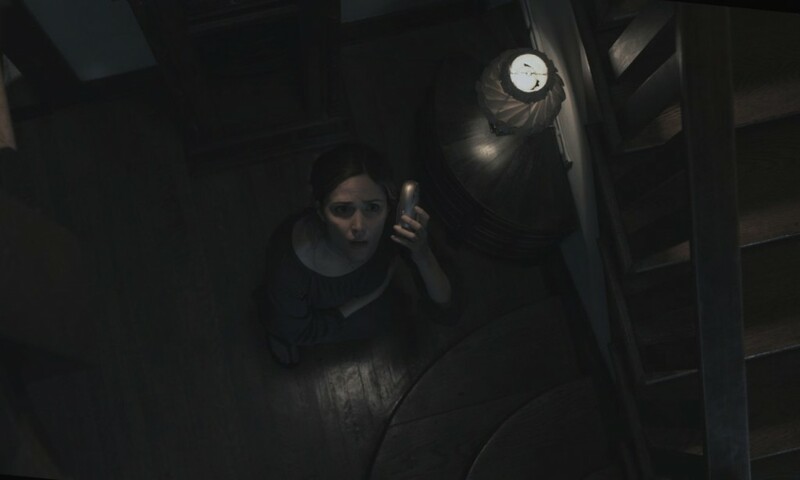 Rose Byrne seems somewhat anemic as Renai, especially when the proverbial hits the fan and she should be screaming her lungs out – Byrne can’t seem to muster a good scream to save herself, literally. It’s weird that in the same day I’ve watched two films with Ty Simpkin in them (this, and the Russell Crowe starrer The Next Three Days) by complete fluke, and while he certainly has the looks for creepy in Insidious, he’s not a strong enough actor to convey real naturalism when he’s not possessed or whatever happens to him in this movie. In other words, he’s a kid trying to act, and it shows. Aussie expats Lee Whannell and Angus Sampson play the films resident comedy relief, the two bickering science aides to Lin Shaye’s Elise, and although they aren’t the wink-wink-buddy-boy types Wan tries to give us in the edit, they do enough to alleviate some of the high tension in Insidious‘ rather dramatic final act. For those times when the creepy ghosts use mustard Gas. 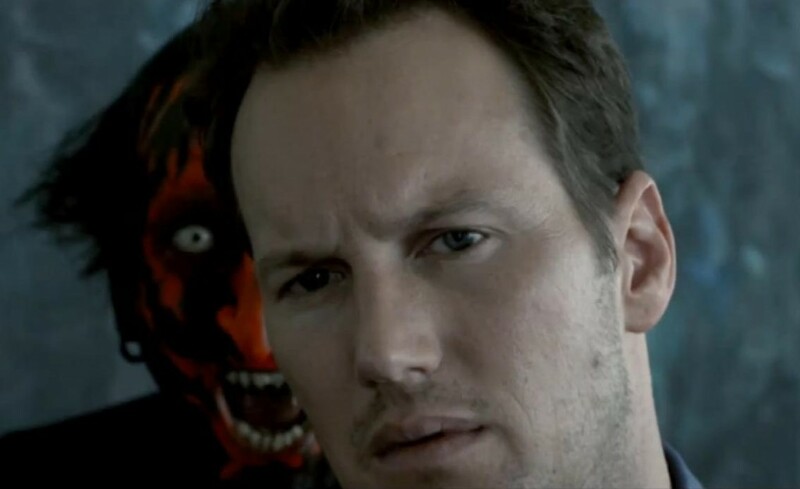 If you want a masterclass in good old fashioned scare tactics, the first hour of Insidious is it. From the outset, with Renai and Josh moving through their incredibly creaky new home, and the subtle fracturing of the “happy family” facade, Insidious sets the tone for what you expect to be a frightening, scary, intelligently crafted fright-film. Those weird, Sixth Sense-style ghosts who appear and then disappear just as quickly, the always creepy baby monitor squawking the voice of the devil, and things generally going bump in the night – this is how you generate the required feelings of fear in your audience. And the characters aren’t total imbeciles either – I hate it when the main character steps into a dark room, and doesn’t switch on the light. Or, the light blows, and they don’t go and grab a torch.. no, they just walk in and wait for their eyes to adjust to the gloom, which is a sure-fire way of having the ghostly ghoulie jump out at you when you turn around. No, here Josh grabs a torch, switches on lights, and does everything most scary movie characters wouldn’t normally do when things get strange. Instead, Wan chooses to deliver the cliche’s in other ways: the creaking stairs and floorboards you just know are going to come into play throughout the film, the way the house is compartmentalized into upstairs and downstairs (the scariest scene in The Exorcist, for example, is when the noises of Reagan’s possession can be heard upstairs while the adults discuss things downstairs, and Ellen Burstyn is terrified to even set one foot on the stairs to go up and look), and the way the children are not over-utilized to build dramatic tension. Things are hinted at, left unsaid, left in the dark, and it’s here that Insidious is a success. Then Elise arrives, and it goes off the rails. Elise reminded me a lot of Liam Neeson’s character from the Star Wars Prequels, Qui Gon Jin, who ruined forever the mythology of The Force by explaining it away as some sort of blood problem – Elise similarly arrives and ruins any sense of mystery or dread by explaining to the Lamberts, and to us, exactly what is going on. Not partially, exactly. It’s essentially a drawing back of the curtain of uncertainty we had about what is going on, and like George Lucas’s decision to explain the Force, ruins the movie going forward. 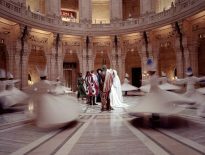 Well, maybe ruined is too strong a word, but it does change the feeling the film has towards its ghostly undercurrents. And it’s not like the film is a complete debacle after this point – far from it, in fact. Insidious, regardless of the tone-shift midway through, remains a strongly produced journey into madness and fright, and although the cerebral uncertainty gives way to just a bunch of clever edits and “jump” moments, it only lessens the film marginally from the first half. Yet, it’s disappointing that Whannell and Wan weren’t brave enough to keep more hidden from us, to keep us in the dark a lot longer than they do. I was doing okay until they started with the strip poker…. Insidious was reputedly made for a budget of $1.5 million*, and grossed something in the order of nearly $100m in box office, an amazing feat considering the film looks like it had a budget twenty times that. How Wan did what he did with the money he had (or, I guess, didn’t have) is staggering, and only makes the outcome of Insidious’ success all the more astonishing. Blair Witch Project had a budget of about half what this film did, and all they did was stick three people in a forest with a video camera for a month. I thoroughly enjoyed Insidious, for all the bump-in-the-night theatrics could have dwelled in cliche more often than not, it remains a highly entertaining genre entry and another wild success for one of the most underrated horror directors around at the moment. James Wan, I salute you. Is Horror the toughest genre to crack? © 2012 – 2014, Rodney Twelftree. All rights reserved. Rewatched this recently, it was way better than I remembered. I definitely agree with you that the second half wasn't on par with the first, but I thought the change in tone wasn't as drastic as you apperently deemed it. Or at least I wouldn't compare it to the giant twist in 'From Dusk Till Dawn'. (But then again, I actually really like 'From Dusk Till Dawn'; I love how completely unexpected the vampires come if you haven't seen any trailers.) Overal it really creeped me out, which is more than you can expect considering the quality of your average contemporary horror flick. Nice review man. i didn't read this too closely as your blurb really appealed to me, so i think i'll be checking this one out. Thanks for the tip, brother. Al told me about this review and i definitely looks worth a look-see. Thanks for the post, kind sir! @ Vik – Thanks mate! Look, I didn't mind From Dusk Til Dawn at all, in fact, I thought the first half of it was vintage Tarantino/Rodriguez, but I guess I, like most people, were completely caught off-guard by the change in story on that film. Perhaps my expectations of where Insidious was going to go were a little different than what was offered, and I felt the motive behind the events of the film weren't as well defined as I'd have liked, but I still thought it was a worthwhile film. @ Al – Do it. Keen to know what you think my friend! HEHEH I am way to chicken to watch this one…. No thanks… I will pass!! I'm glad you mention the horrible second half and ending. That destroyed the film for me. I won't watch the film again because why would I watch a film that is only enjoyable its first half which, on second viewing, loses some impact anyway because there's no sense of mystery. Really, really disappointing. I definitely agree that the early part of the film is genuinely creepy. In fact, its first half ranks right up there with the best of them. Then it all goes horribly downhill. Thanks Dan! Yeah, having seen this film now, and knowing what happens in the third act, I'm loathe to watch it again myself. I'd still recommend it to horror-hounds, of course, but the casual viewer might be best discovering it on their own.